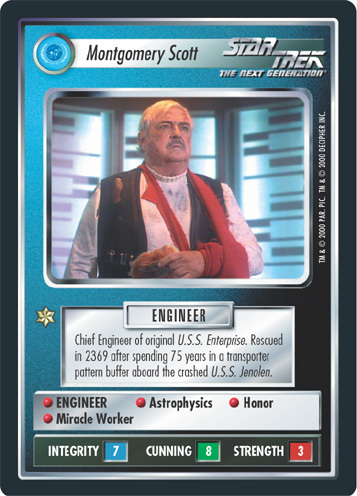 Chief Engineer of original U.S.S. Enterprise. Rescued in 2369 after spending 75 years in a transporter pattern buffer aboard the crashed U.S.S. Jenolen.